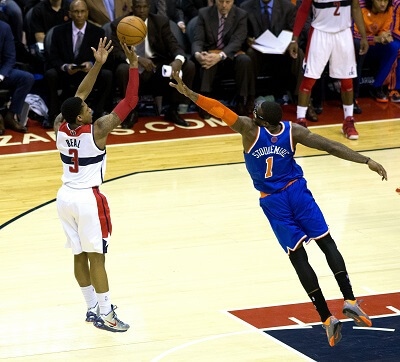 Get notified when New York Knicks tickets are available! The New York Knicks are an NBA team founded in 1946 that plays in the Atlantic Division of the league’s Eastern Conference. New York Knicks home games take place at Madison Square Garden, which is known to New Yorkers as MSG, The Garden and The Mecca. The stadium opened originally in 1879 and has been located in three other places in New York City before it opened at its present spot in Midtown Manhattan in 1968. You can purchase tickets to sit in one of the more than 19,000 seats available for basketball games by checking out the schedule above and using the links to purchase New York Knicks tickets online.